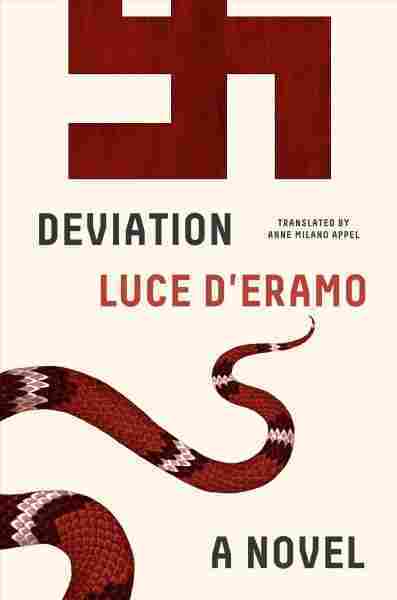 Review: Luce D'ERamo's 'Deviation' Is A Literary Tour de Force First published in 1979 and now released in English for the first time, D'Eramo's autobiographical novel details her harrowing experiences in German labor camps during World War II. Luce D'Eramo's Deviation, first published in Italian in 1979, went on to become a worldwide bestseller. Though considered a novel, the book's story and structure untangle its author's complicated life through a combination of autobiographical fiction and memoir. As such, it defies neat categorization. Finally, 39 years after its debut, comes its first-ever English edition, vividly translated by Anne Milano Appel. D'Eramo, who died in 2001, was born to a bourgeois Italian family in Reims in 1925. Her family remained in France until 1938, at which point they returned to Italy. They were Fascists; her father became a government official in the Italian Republic of Salò, and her mother a volunteer for the Fascist party. Luce was a member of the GUF (Association of Fascist Students) at university. As World War II rolled forward and Luce heard rumors of Nazi death camps, she began questioning her ideals. To test her beliefs, she left home at age eighteen to volunteer in German labor camps. These life-changing, harrowing experiences led to a "desire to shed her identify as the privileged daughter of a Fascist bureaucrat." She joined the Resistance and helped lead a failed workers' strike. Because of her family's position, she was safely repatriated to Italy. But in Verona, she jettisoned her identification papers and slipped onto a train of deportees to Dachau where she spent time before escaping to wander as a stateless vagrant in Germany. In February 1945, as she helped rescue people buried from the rubble of bombing, a wall fell on her and she was paralyzed from the waist down. She was nineteen. This devastating chain of experience cannot be told in linear fashion. The story must "deviate," as the memory and weight and brutality of D'Eramo's past unfolds in bursts. The book's four parts occur out of chronological order. At various times called Lucie, Luzi, Lùszia, the protagonist confronts her privilege as a Fascist, a western European, and as a member of a well-off family. She associates with Russians and others from the east, to experience life with the "lower classes" of enslaved inmates. (Luce was never interned in a death camp, where the Nazis exterminated those they considered below the lower classes.) She embraces lice, and cleaning sewers, and freezing, and hunger, and brute labor and the petty thieving that leads to a Darwinian hierarchy among slave laborers and more serious betrayals, along with unending danger and horror. She takes lovers, makes friends, is saved by them. In turn, she saves them, or watches them murdered or die of illness and starvation. Criss-crossing Germany, Luce heads toward oblivion, intent on making herself a nullity. throwing away the one they have now, it's hostile to them, like a wall. Not me, I'm keeping mine, the way bears do: don't feel, don't love, just sleep through the cold. It is that "hostile" wall that truly imprisons her — in her body. Later I only remember being trapped in the middle of a blaze and having the distinct impression of being in hell. No one expects her to survive the injury. She spends months in hospital, enduring endless surgeries and procedures, feverish, nauseated, her insides leaking out of her, before she understands that she will survive, but will never walk again. .... I lay in a body that I could no longer feel, that supposedly belonged to me but did not respond to me ... unable to destroy it because that damn body was alive, extremely vital, fond of living; ... [it] forced me to go along with its wishes, vomited my inebriations on me, so that I didn't know where to turn.... I clung to finding goodness in the people around me, warming myself with forced sentiment to try to melt the ice that bound me, that was me. Because this body oppressed me, I didn't want to be alone with its storms, which raged continuously within the ice. She fantasizes about settling in Russia and makes serious preparations to do so. I will always be with those who are suffering, I thought. Instead, she returns to Italy. Hatred against Nazis boomeranged on us...and we internees attacked one another. I learned that, you know? That much at least I've learned. Deviation's final section sees D'Eramo wrestling with memory, large swaths of which have been repressed; this repression allows her to move forward. She finishes her education, marries, bears a son, divorces, becomes a writer and translator. Her nightmarish past visits her in periods of crisis, when she grapples with addiction and tries to rebuild her life following the collapse of her marriage. We glimpse her parents, absent from the rest of the book despite their efforts to retrieve Luce from German hell. In this last part of the book, D'Eramo undergoes Olympian trials to unearth her tempestuous memory and fling it on the page. If we appreciate Karl Ove Knausgaard for his introspective tenacity, then we must genuflect before Luce D'Eramo. Deviation was written over several decades. Its story, that of one young person trying to hew to her beliefs and save the world, represents one reason for its international popularity. D'Eramo bears witness to her teenage years, which stand in sharp relief even against the great conflagration. Her version of youth is unimaginably extreme, and the telling of it carves out new territory. It is not simply D'Eramo's personal story, but also her ruthless quest for self-knowledge, that render Deviation a literary tour de force.